A poor credit score can hurt your finances in a number of ways. A very low score could outright prevent you from acquiring needed credit like an auto loan or mortgage. Even if you do qualify for the loan, a lower score usually means that the terms of your loan will be harsher. You may end up with a higher monthly payment, and you will definitely be paying more in interest. While improving your credit score may take some work, it can save hundreds or thousands of dollars over the course of an auto or home loan. A major part of fixing bad credit is actually reading and understanding what is included in your credit report. Sometimes, credit reports contain legitimate errors and misreported information. These problems are almost never identified unless the credit holder takes action. There is no reason to be punished for something you didn’t do, so fixing credit report errors is important. Errors can often be handled by writing a credit dispute letter. This is a formal letter that details the nature of the error on your credit report and requests that the error be removed. These letters are sent directly to the credit reporting agency, and you may not have to interact with a business or creditor directly. You will need to have a good understanding of your rights in order to create a letter, and you may also need to include supporting documentation. While there may be little you can do to repair a past mistake, taking better management of your current debt is the key to improving your score. 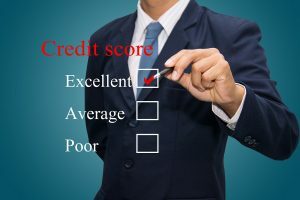 The truth is that outside of correcting an error, most credit scores are not going to jump back into high numbers without some work and most importantly time. Remember, a credit score is a measure of how trustworthy you are as a borrower, and trust takes time to establish. Current debt plays one of the biggest roles in determining your score. Two major factors stand out. The first is credit utilization, or how much credit you use compared to your limits. By paying down credit cards and other types of credit accounts you can lower your utilization and help increase your score. Aim to get your utilization below 30 percent. The second major factor is payment history and completion. Most people realize that keeping up on payments is very important for credit. What is less known is that completely paying off certain loans is also very helpful for a score. Lenders want to see a healthy balance between your use of credit and your ability to completely pay off credit you’ve had. Try to organize your budget so you are paying more than the monthly minimum in order to pay off debt faster. An attorney, like the professionals at Lexington Law review, may be helpful in helping improve credit scores and rebuild credit. While no attorney can magically improve a score, an attorney may be able to help in a few ways. The first is by taking a professional look at a credit score and determining errors and ways to best improve the score. Credit scores can be complicated, and it may be easy to miss some important information. An attorney may also be able to help a client create a debt management plan and budget. The attorney may be able to help create a viable and effective long term strategy that will help to improve a score over time. In some cases an attorney may be able to work with creditors to lower or eliminate debt, which will cause an increase in score. With patience and perseverance, no credit score is unrecoverable. Solving problems and errors on the credit report, managing current debt and making a plan to control future debt puts you on a path to credit recovery. The financial management skills you learn getting your score back in shape are also likely to help you keep it in good condition in the future. Commercial Credit Score Basics: What is It and How Can You Boost It?